Peridot is the birthstone of August, but it is also known for being important in understanding the matters of the heart - particularly heartbreak. It is also supposed to allow the wearer to have a clear understanding of destiny and purpose along with releasing negative vibrations. 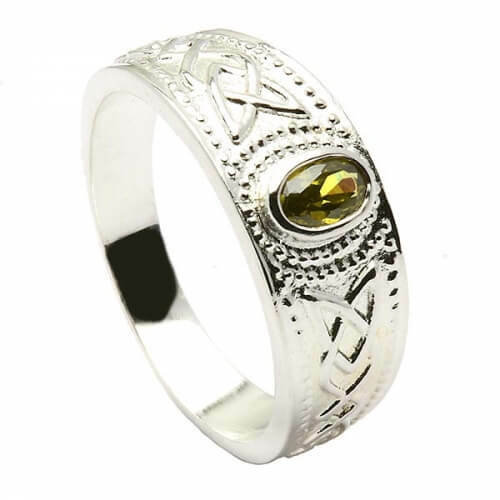 This ring was detailed with the Celtic knot and beads around the center. 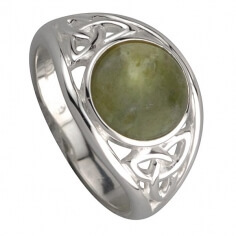 The peridot stands out in this sterling silver ring. It makes an ideal gift for anyone born in August, who likes yellow, or that appreciates symbolism. 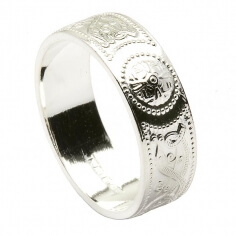 Service rating : bague conforme au descriptif, livraison plus rapide que prévue. Le site est très bien présenter, simple d'utilisation. Le service client pour les retours est efficace. Product : Bague tout a fait conforme au descriptif, bel argent, et jolie pierre. Service rating : Beautiful piece of jewelry and the fit is perfect. It also arrived before the estimated arrival. Very pleased with this company and will be ordering again soon! Product : Beautiful piece of jewelry and the fit is perfect. It also arrived before the estimated arrival. Very pleased with this company and will be ordering again soon!